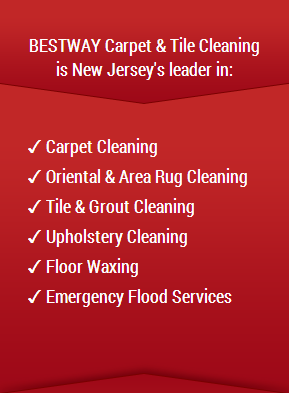 Carpet cleaning is a responsibility that many NJ residents don’t look forward to. During the winter even more stains get on the carpet due to our erroneous weather conditions. Rain means mud, and Snow means harmful rock salt will get dragged into your home. Rock salt is an important tool during the winter months, but it can be detrimental to the beauty of your carpet. Best Way Carpet and Tile Cleaning is offering some great winter carpet cleaning tips for customers in NJ. If you haven’t had your carpet professionally cleaned in awhile, consider contacting Best Way Carpet and Tile Cleaning or a deep and thorough carpet cleaning at (732) 671-8829 today! If you’ve walked outside and back in your home during the winter, chance are you have brought rock salt back in. Rock salt leaves pretty nasty stains on your carpet, and it is pretty easy to clean. Before cleaning your carpet vacuum the area that needs to be cleaned. This will lift any unnecessary debrit. Next, grab some vinegar, water and an empty spray bottle. Mix a solution of equal parts vinegar and water. Spray the affected area and let the solution sit for at least 15 minutes. Take a clean sponge and blot the area. Light scrubbing is ok, but you do not want to ruin the integrity of the carpet. If the stains are still present, repeat the process. How easy is that? The best way, of course, is to try and avoid bringing rock salt into your home. Put a heavy-duty mat outside you door, take your shoes off before entering the home, and have a mat inside the house. Preventing stains in the first place is a lot easier than having to get stains out. If you find that you can not get rock salt stains, or other stains out of your carpet, give Best Way Carpet and Tile Cleaning a call. We offer the latest carpet cleaning techniques with affordable prices to all of our NJ customers. When you need to beautify your carpet, call the go-to carpet cleaning professionals in NJ at 732-391-6500 today! Bestway Cleaning is a NJ Residential and Commercial Carpet and tile cleaning company. This entry was posted on Monday, January 6th, 2014 at 6:24 pm and is filed under Carpet Cleaning NJ.